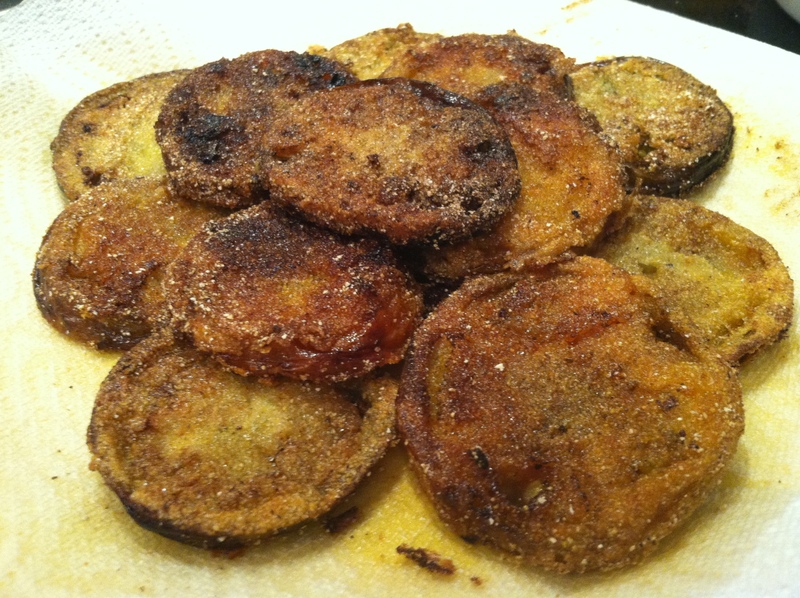 When I was a little girl, my mom introduced me to the movie Fried Green Tomatoes. It was (and still is) one of her favorites and it quickly became one of mine as well. I’ve always wondered how those fried green tomatoes tasted and coming from a family who lives in the South, I’m still wondering how I’ve gotten by with never having this very southern dish. So when I got to pick some fresh tomatoes straight off the vine with my dad earlier in the month, we made sure to grab quite a few of those green ones so I could try it out! Now, we did wait a little too long grabbing the ingredients to make this dish and some of them began to ripen, but that didn’t stop me from frying them anyway! I knew that I didn’t want to fry the tomatoes in vegetable oil (personal choice) and wanted to find a recipe that called for olive oil instead. 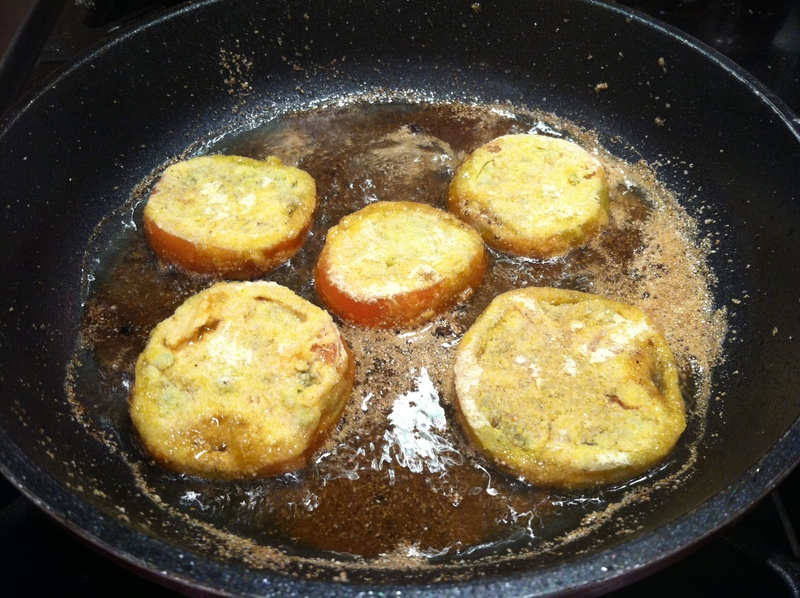 Between google and pinterest, I found a fantastic recipe that I would love to share with you! 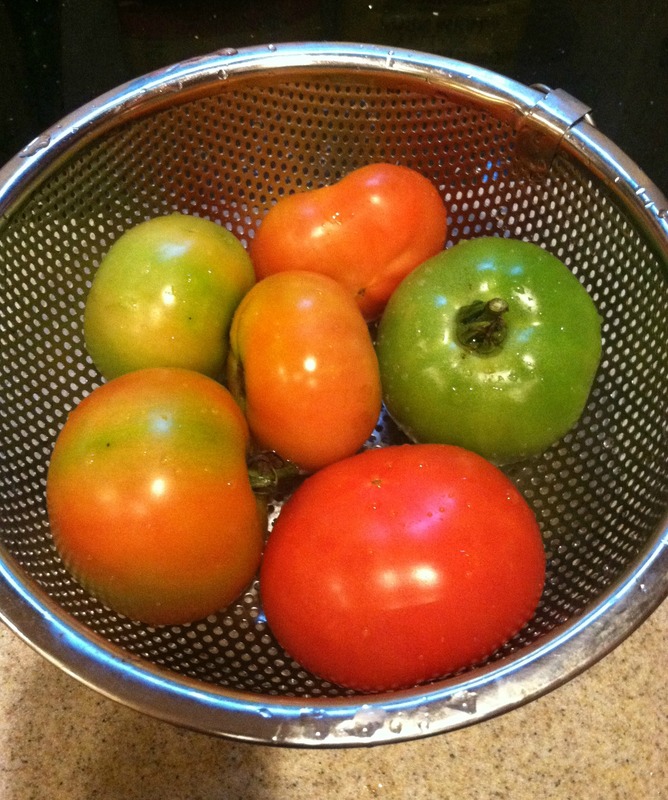 I know the season is coming to a close, so if you grow your own tomatoes or if you can get your hands on some green tomatoes, hopefully you can grab a few to try this recipe and enjoy! 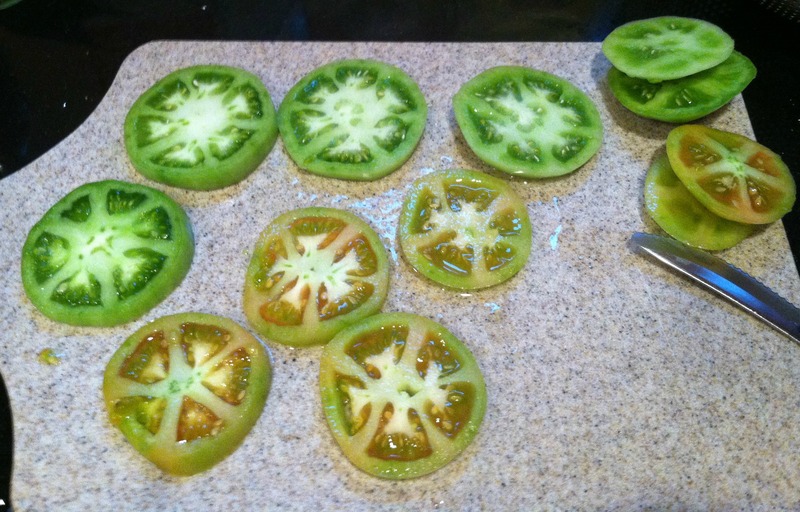 You can do this with red tomatoes as well, but green ones are much more sturdy to fry. Believe me on this one! Okay, first of all, how gorgeous are these tomatoes? I loved when I cut into the ones that were beginning to ripen and could see some of the red beginning to spread throughout. So beautiful. Never thought I’d think that about a tomato, but there you have it! 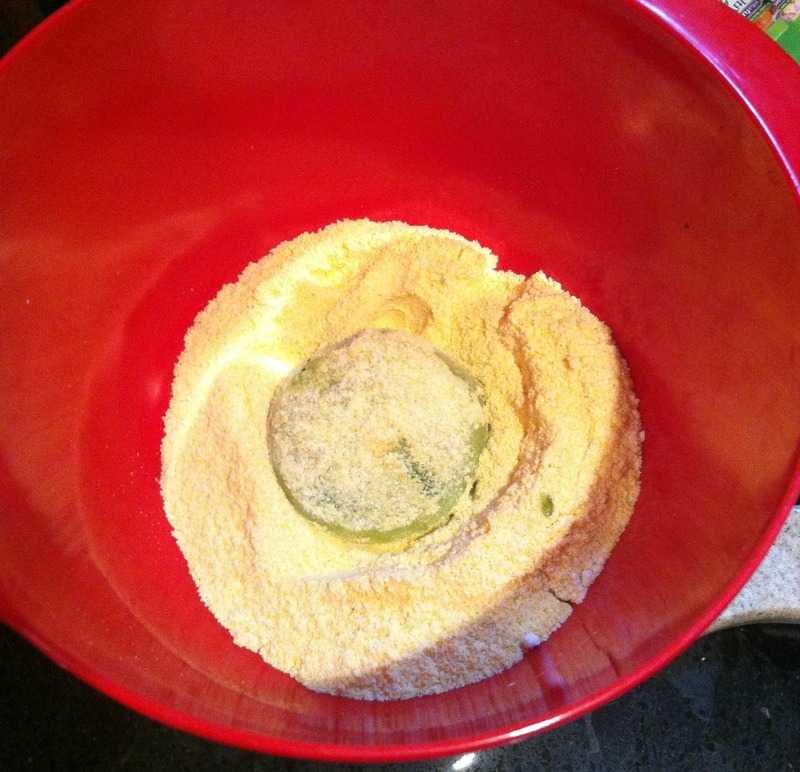 Combine the corn meal and flour. 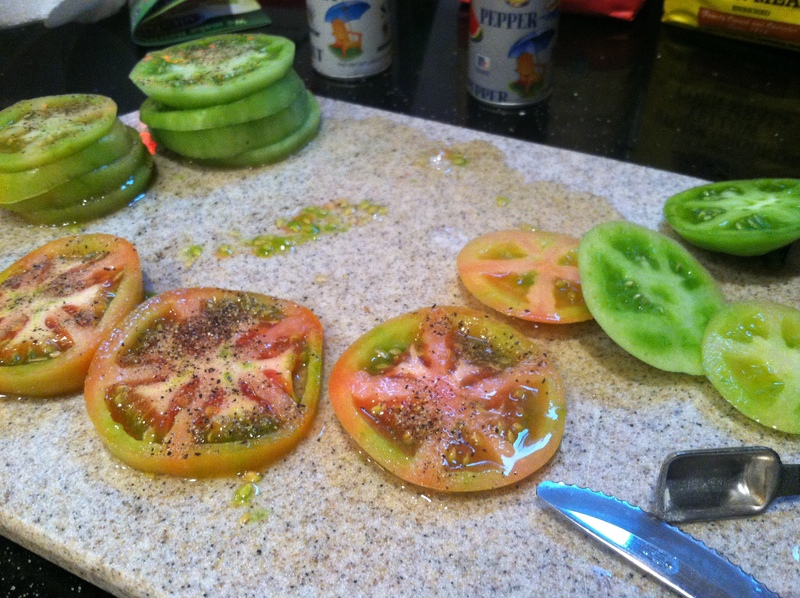 Then season your tomatoes with the salt and pepper. Heat a large pan over medium heat. 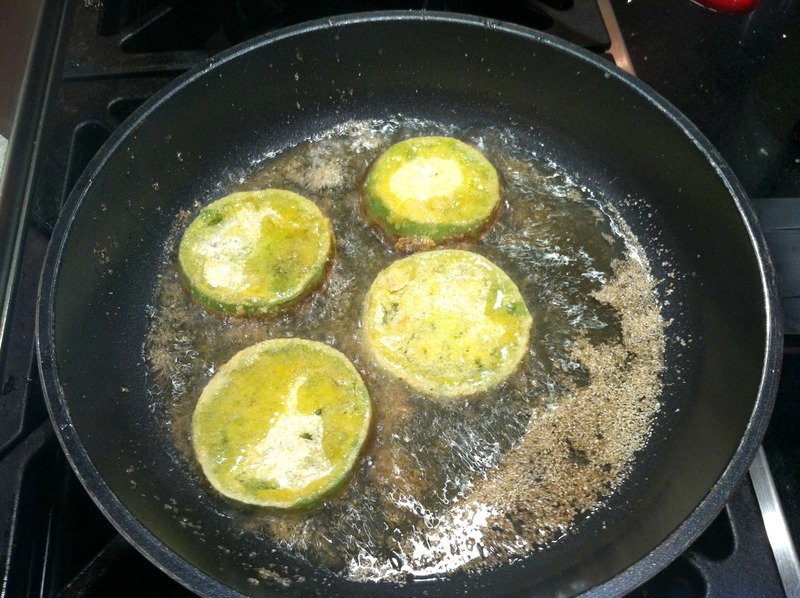 Pour your olive oil in the pan (the recipe suggests 1/3 cup for a 12 inch pan). 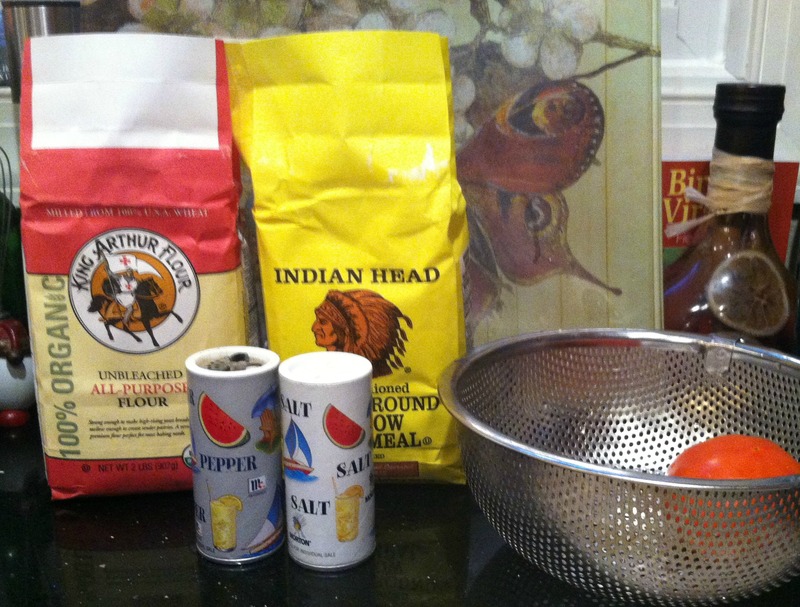 Coat (or “dust” as the recipe says…yeah right…) your tomatoes with the cornmeal and flour mixture and lay into the pan. Do not crowd the tomatoes. Cook 3-4 minutes on each side or until well browned. Add more oil if needed (I did and fried them in batches, as well). Place on a paper towel for draining. Sprinkle with extra salt (I did). This recipe was so much fun to do, not to mention super easy and quick! I think my first batch turned out slightly over done, but they still tasted great! If you’ve never had them before, the best way I can describe them is like eating a french fry covered in ketchup. 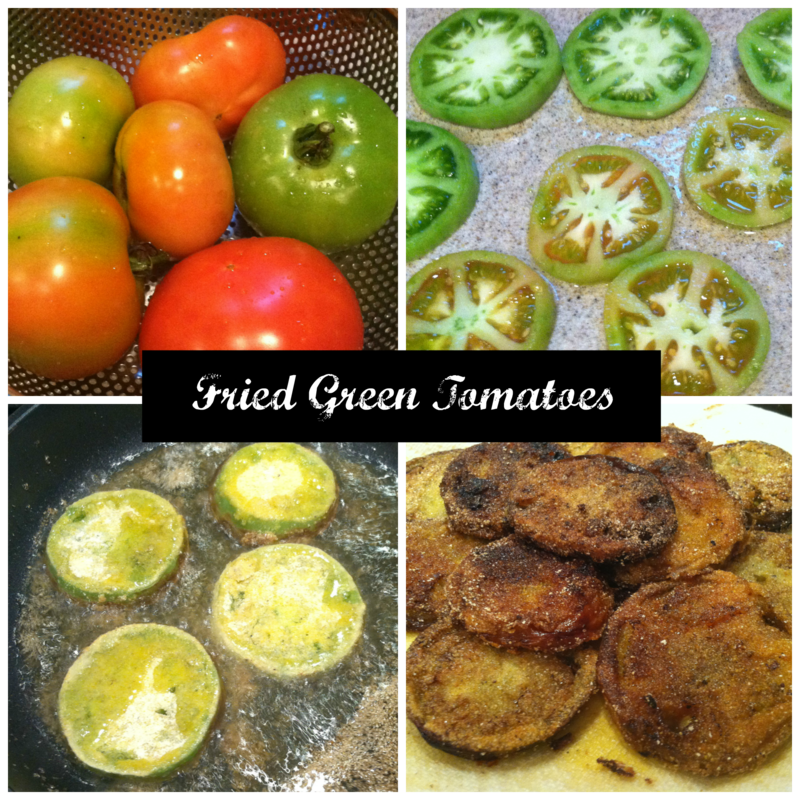 I hope I can get my hands on some more green tomatoes next year and make this again. It’s too yummy not to!